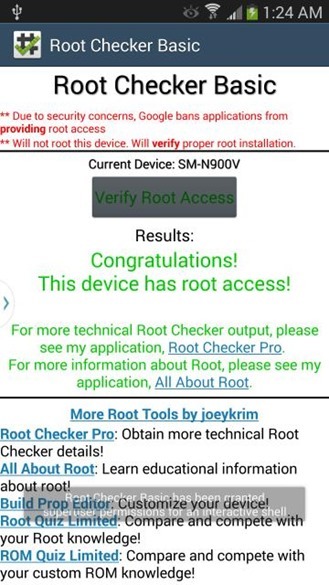 Last week we reported that the AT&T version of the Samsung Galaxy Note 3 had a root method from a couple of enterprising gentlemen over at XDA. 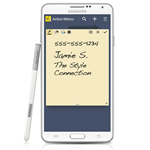 The same team-up of designgears and Chainfire has now reproduced the Root De La Vega root method for Verizon's Note 3 (model number SM-N900V), which isn't quite as appropriate as far as the name goes, but it's just as awesome. The same unfortunate conditions apply for the Verizon version of this exploit. You'll need a Windows PC, Samsung's Odin flash tool, and a basic understanding of the tools of the trade, but that's not the worst of it. This exploit is basically flashing a modified, pre-rooted version of the stock Galaxy Note 3 software onto your device, so you can say goodbye to your personal data. It's also a rather hefty download at 1.24GB. (At least it's the latest firmware this time.) It should be noted that this is root and only root. The bootloader on Verizon's Note 3 is still very much locked, and likely to remain so at least for the near future. Custom recoveries, kernels, and true custom ROMs are still off the table at the moment. But if you need root privileges, want the biggest, baddest phone around, and can't bear to leave Verizon, this is the way to go. Check the link to designgears' instructions and download below, and be sure to follow them to the letter. (Also, it wouldn't hurt to double-check that you're on the right sub-forum.) Have fun. Source: XDA Developers, screenshot by designgears - thanks, flosserelli and ather!